After the Olympus incident, it is likely that the banks may receive instructions to write off more losses? 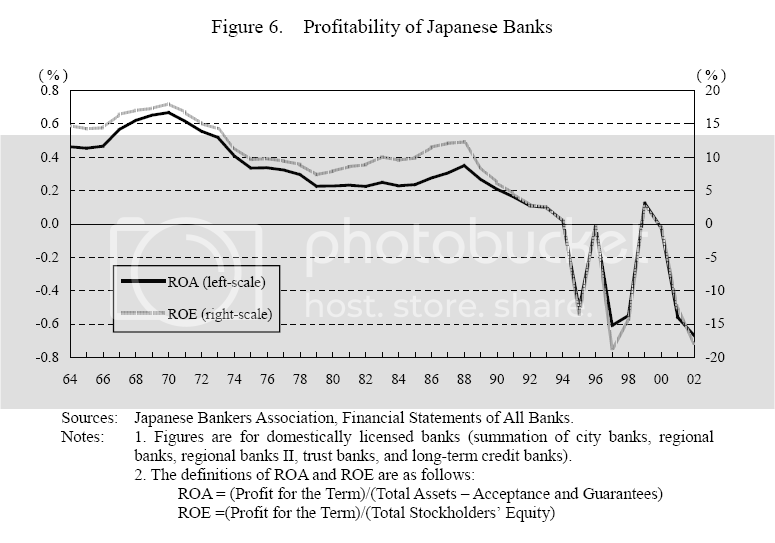 The chart above shows the Japanese banks begin to rapidly decline after 1988 and 14 years later they were still zombies, with recurrent crises in the intervening period. This is what awaits the Irish banks.